It's easy to buy Husse! Order online here or enter your post code to find your nearest local Husse representative. Contact us for professional advice about nutrition. Our extensive product knowledge is developed by continuous training. 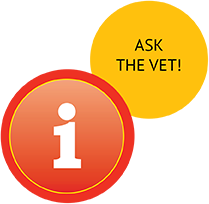 If needed, we can refer your query to our veterinary advice team. Since Luca was a pup I have tried every dogfood available. As Siberian Huskies are very energetic and have sensitive stomachs it turned out to be a real challenge. Until that is, I found Husse dogfood at a Dundalk Rescue charity event.